To a loud round of applause, the National Circus Project came to Glenwood Landing for a week-long event that combined determination and skill. Throughout the week, all of the students combined physical fitness with circus fun and proficiency. Fifth graders were able to choose from a number of different acts to become their specialty for their own performance. The awesome acts included plate spinning, juggling, devil sticks, diabolos, clowns, and balancing! After practicing all week, they took to the stage during the day to perform for the whole student body. That evening they had everyone on their feet as they combined skill with proficiency for their parents, families, and friends. It was agreed that it was truly one of the best circus performances at Glenwood Landing! 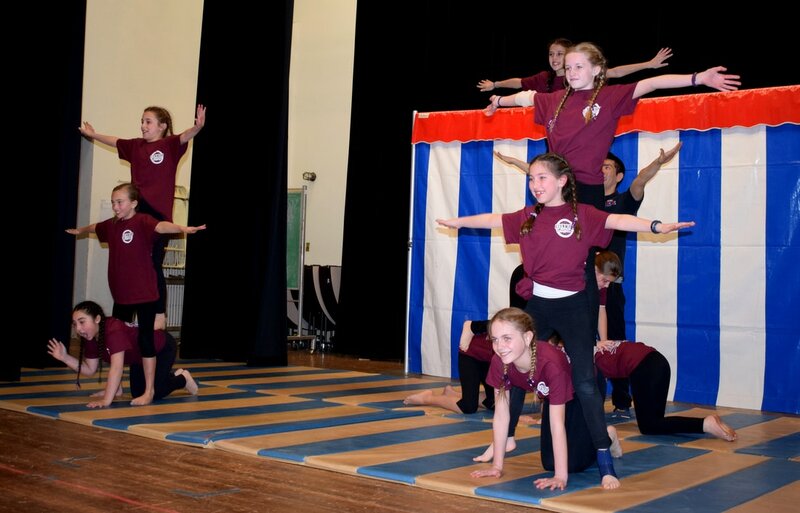 The National Circus Project (NCP) is an innovative cultural arts organization, which promotes student participation in school arts and physical education activities, using “circus” as its theme. The National Circus Project sends teams of internationally acclaimed circus performer/instructors to schools throughout the U.S.A. Students are encouraged to practice repeatedly the circus skills. After the week-long program, confidence builds as each participant masters his or her activity with a “never give up” attitude. Special thanks to the Glenwood Landing SCA and the students and physical education teachers for such a wonderful event! 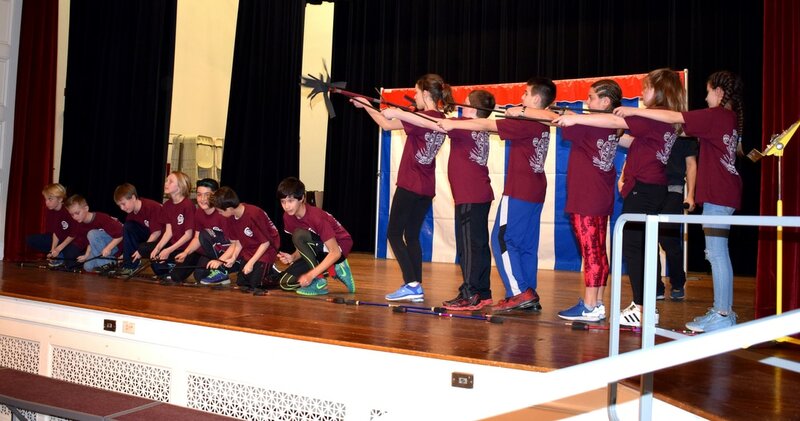 Pictured are fifth graders at Glenwood Landing School who chose from a number of different circus acts to become their specialty for the final performance. The awesome acts included plate spinning, juggling, devil sticks, diabolos, clowns, and balancing!